New Years is just around the corner and like all of us, our celebrities too love to spend the first day of their year in the most picturesque locations on the planet. 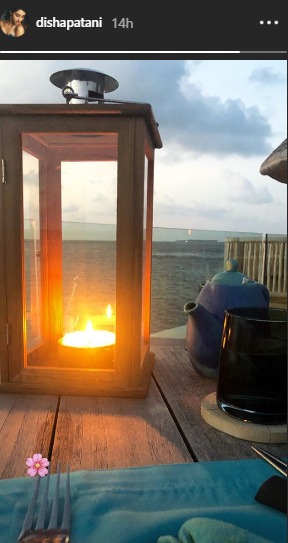 These days the hot new couple in town, Disha Patani and Tiger Shroff are holidaying somewhere between the sea and sand and the pictures are making us green with envy. They are both flaunting the clear blue waters and their perfectly chiseled bodies. Tiger took to his Instagram an shared a video of himself doing a flip on water and his crash landing made him write,"Thats what happens when you eat icecream all week... crash landing #bellyflop #wipeout". On work front, both Disha and Tiger are having great projects at hand. While Tiger is busy with The Student of the Year sequel, Disha will be seen in Salman Khan's Bharat.